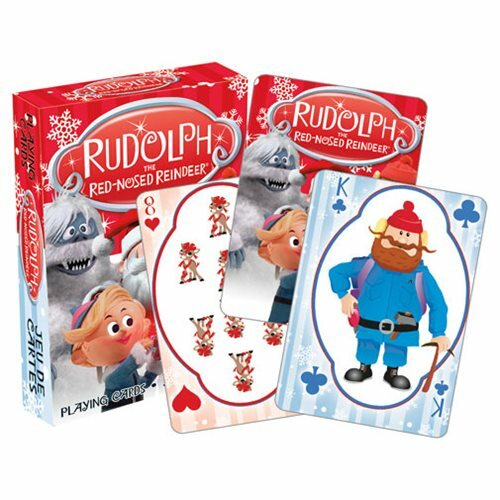 Your pals from Rudolph the Red-Nosed Reindeer appear again in the images on these fun playing cards! Enjoy your favorite card game while going down memory lane with this 52-card deck featuring that most beloved of reindeer, Rudolph. The cards have a linen-type finish and measure 3 1/2-inches tall x 2 1/2-inches wide. Ages 13 and up.